Mike Weekes moved the WhatAboutQuality team into the Apartments at the Buffalo Lafayette Hotel this weekend with the help of some generous, patient and loyal friends. 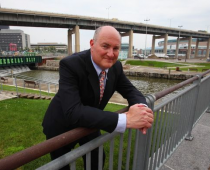 The location is at the epicenter of economic development inBuffaloNew York. Rocco Termini gave us a tour personally of this facility which has transformed from dormant to lively. We looked at office space in Downtown Buffalo to firmly commit to the development of the city and found theLafayettesuperior among the options. It costs slightly more than spaces which are older, farther from services and connection to healthcare, government, non-profit and manufacturing clients. By living here at theLafayettewe are slowly becoming part of a network of like-minded WNYers who want to make Buffalo Better. It doesn’t hurt to be surrounded by the areas best bakery, fine restaurants and taverns a flower shop and plenty of meeting / conference space to educate inspire and enlighten our clients. Rocco Termini has demonstrated the key aspects of business performance excellence through the development of theLafayette. He saw opportunity where others saw a problem. 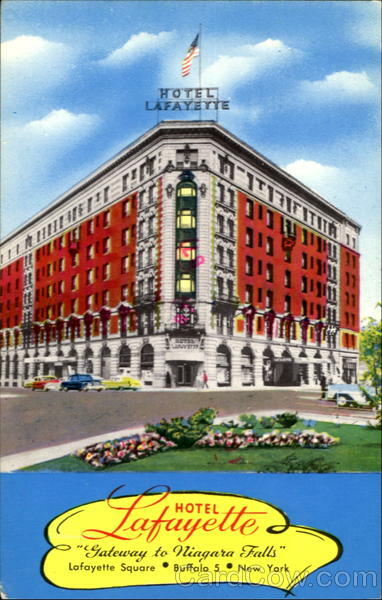 He developed a strategy to turn the Lafayette Hotel into a mixed use, effective environment, where the return on his $42M investment will surely demonstrate a healthy payback. His leadership revealed a passion and a vision that was not just business-based but personal. I know I am inspired by his accomplishment. Rocco had to use measures of performance to assure that the plan was kept on track and as two years of effort and activity are now coming to a climax, with the opening of the facility, one can see how metrics and measures are vital to successful execution of any plan. As a resident and business owner, moving my firm to theLafayettefeels good only days after the relocation. The air is filled with new sounds: the Amtrak service fromNiagara Fallsto NYS and Chicago, the buses and cars and trucks, all representing action, movement and value. Buffalois working! I can testify to it. Let’s take Rocco’s accomplishment and use it as an example of howBuffalois growing! Be inspired. Examine your dreams, pick one, make a plan, examine the challenges and obstacles and then knock them down one by one. I look forward to the grand opening of whatever you have cooped up in your head. Take it step by step. Remember: everything is a process. Mike Weekes helps companies save an average of $200,000 a year in operational expenses in the manufacturing, healthcare, government and non-profit arenas. Call him today at (716) 517-7957 to start you conversation. At Whataboutquality, Everything Is A Process. Order your copy of Everything is a Process today for just $19.95 plus tax.